An Old Lyme man who signed up for health insurance through the state health care exchange wants to know whether or not he's covered. Bill Fries enrolled way back in October in order to be covered by January 1, but to this day he hasn't received his insurance card and he isn't getting answers from his new carrier Anthem Blue Cross and Blue Shield. "At this point I'm trying to find out, am I covered?" said Fries. Fries completed the process on the state health exchange in months ago. He even received a bill in December from Anthem for $600 in which he thought he paid. Despite confirmation e-mails from the health insurance company, his credit card was never charged. To this day he hasn't received an ID card or paperwork showing he has insurance. Every time Fries calls Anthem's number he gets this recorded message: "Thank you for your patience as we are experiencing very high volume due to the Affordable Care Act." 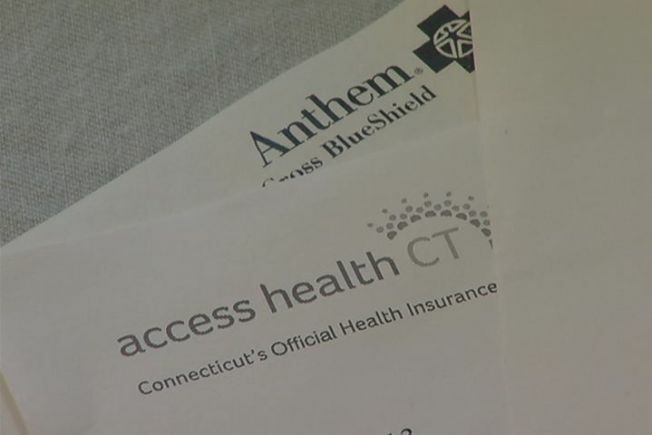 NBC Connecticut has received numerous calls from Anthem members reporting similar complaints. "This is an unprecedented time - and we appreciate our members' dedication to following through and ensuring that they have secured health insurance with us for 2014," said Sarah Yeager, an Anthem spokeswoman. "Our goal is to ensure our members can access their benefits as early as possible in 2014. To make that happen and to accommodate the late December application surge we will not be rejecting any January policies where payment has been received by January 15th. Payment by January 15th ensures coverage will be retroactive to Jan. 1." The company said combined call volume over two days last week exceeded one million calls across their 14 affiliated states. Anthem said they hired one thousand people to help in anticipation of the Affordable Care Act. But Fries feels insurance companies were unprepared for the crush of newly enrolled and he just wants answers. "We're young senior citizens, we're active people but stuff happens and to not be covered is inconceivable," he said.